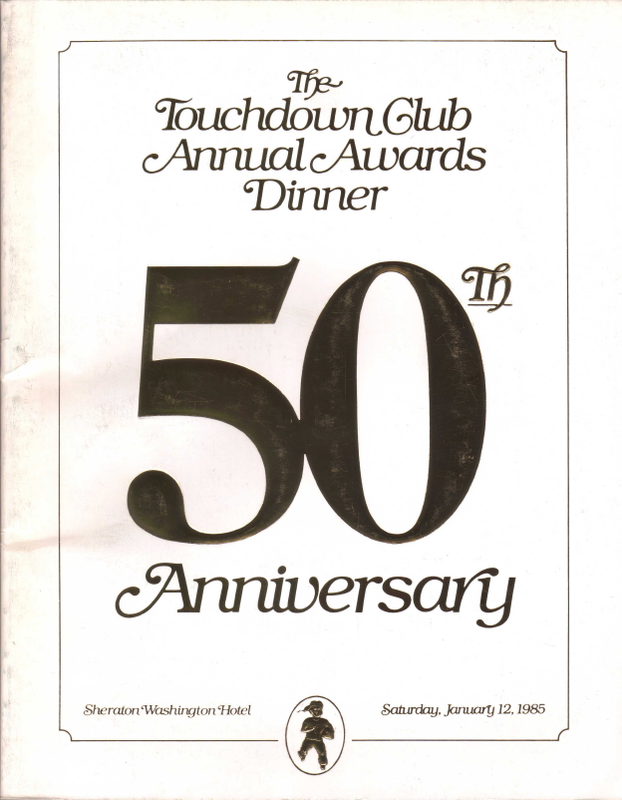 Do you remember the old Touchdown Club of Washington? It was a vibrant piece of the local football community. The DC Touchdown Club presented by Capital Bank N.A. 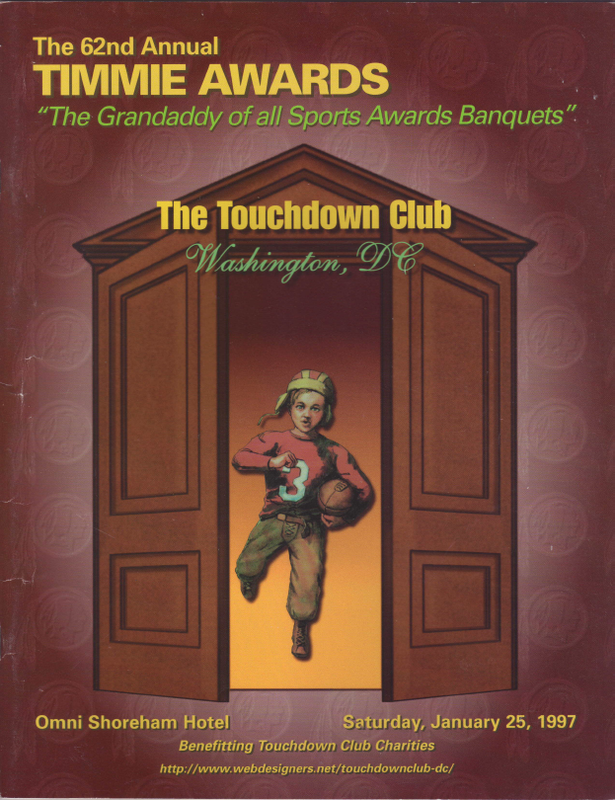 has reached back to the past and rekindled the good feelings of the old Touchdown Club of Washington. Just like our predecessor, the DC Touchdown Club has created a diverse group that brings together supporters from every corner of the Washington-area football community. 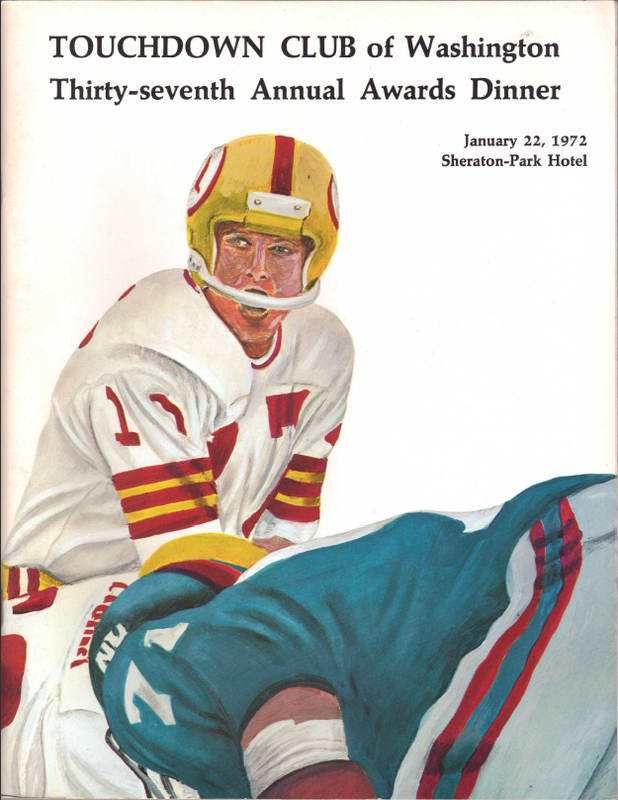 While the DC Touchdown Club Awards Dinner honors the region’s current standouts, we also celebrate those who came before us and laid the foundation for what we have today. 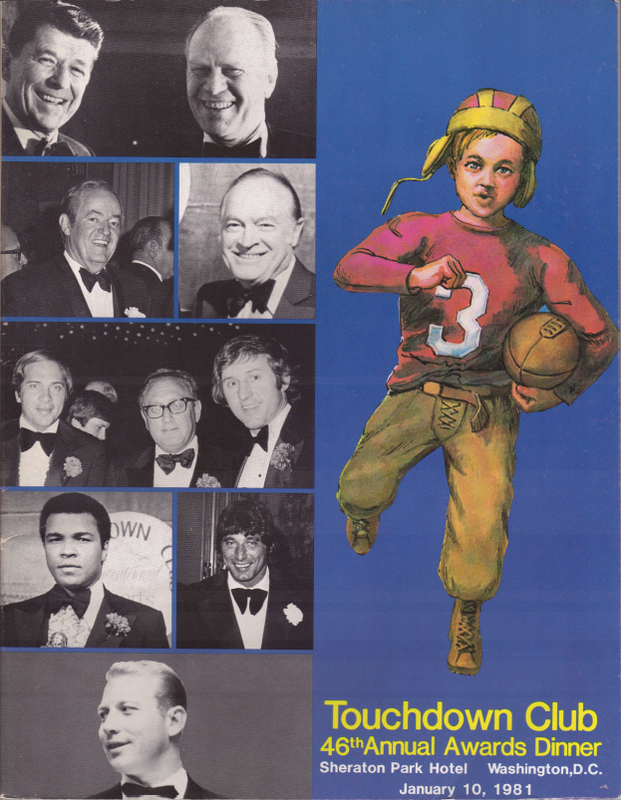 The Touchdown Club of Washington was founded by the late Arthur “Dutch” Bergman, a former standout halfback at Notre Dame who went on to become the head coach at Catholic University and later the Washington Redskins. He was an Army flyer in World War I, a top government official, a sports writer and broadcaster and, finally, was the manager of the D.C. Armory and RFK Stadium. 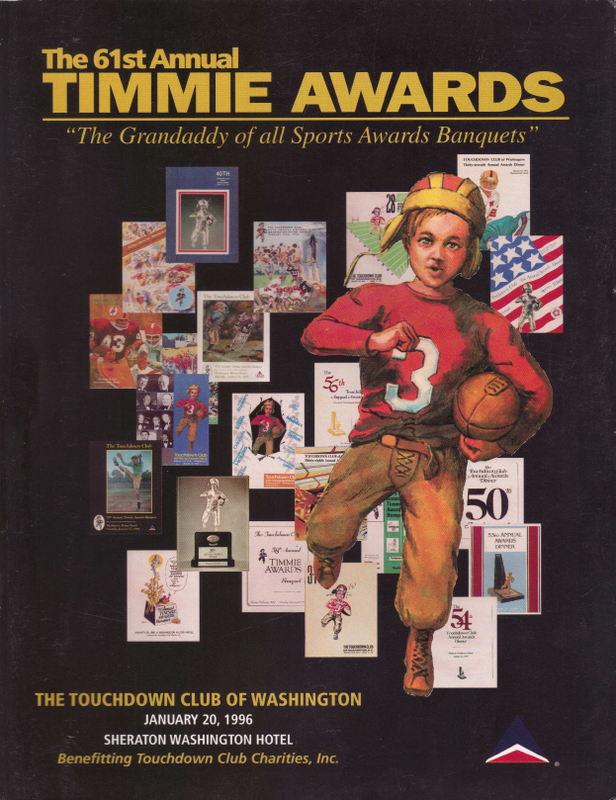 For two dollars, Dutch bought a charter to establish the Touchdown Club of Washington in 1935 and it did not take long for the Club’s annual presentation of the Timmie Awards to players at the high school, college and professional levels to gain notice. 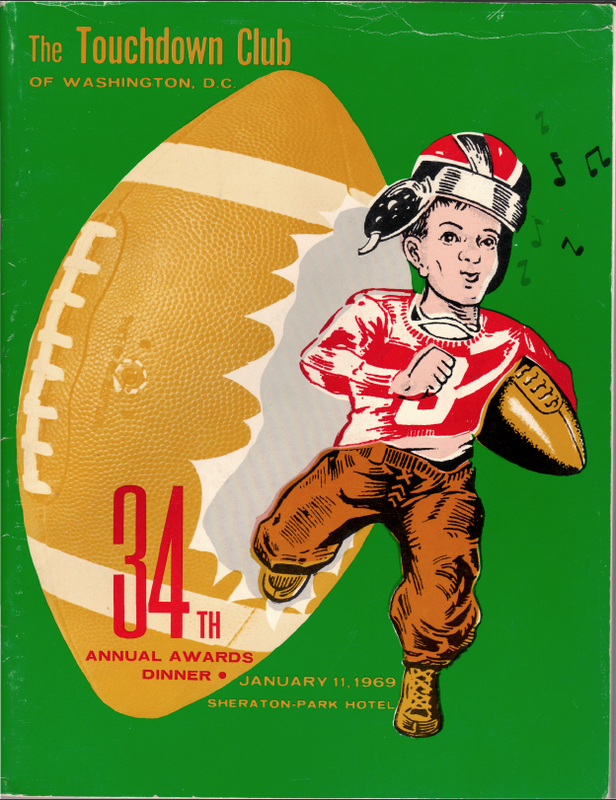 Sports Illustrated referred to the event as “the granddaddy of all sports banquets”! From pro athletes to Hollywood celebrities and politicians, the Touchdown Club’s dinner attracted countless A-listers. 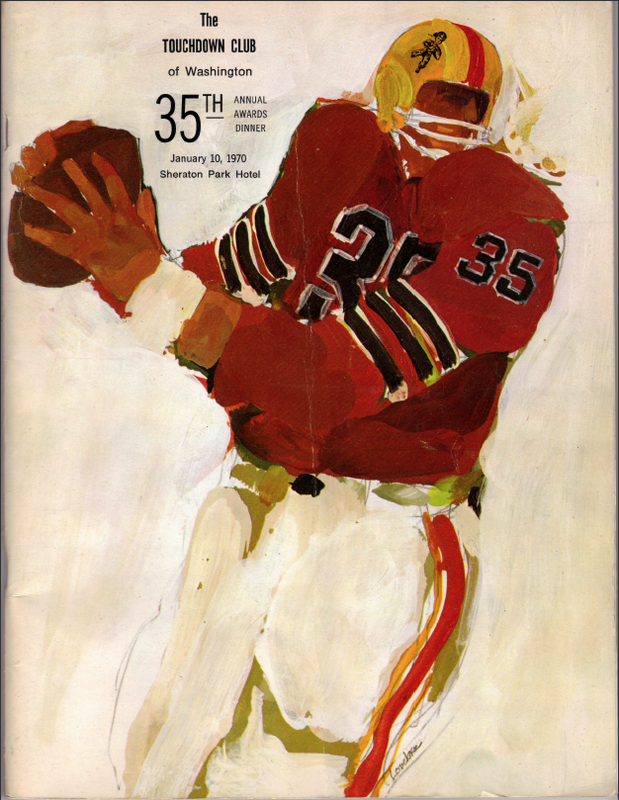 The DC Touchdown Club appreciates the past and the present. We are fortunate to receive assistance from former Touchdown Club members, as well as several current coaches and others interested in seeing the game thrive on a local level. They come together for select events throughout the year, raising awareness for football and money for the Bill Phillips Memorial Fund, which helps those who need it most. The Club’s success culminates each year in the Awards Dinner, where the area’s best and brightest are in spotlight and most attendees stay well into the night regaling each other with stories from years past. 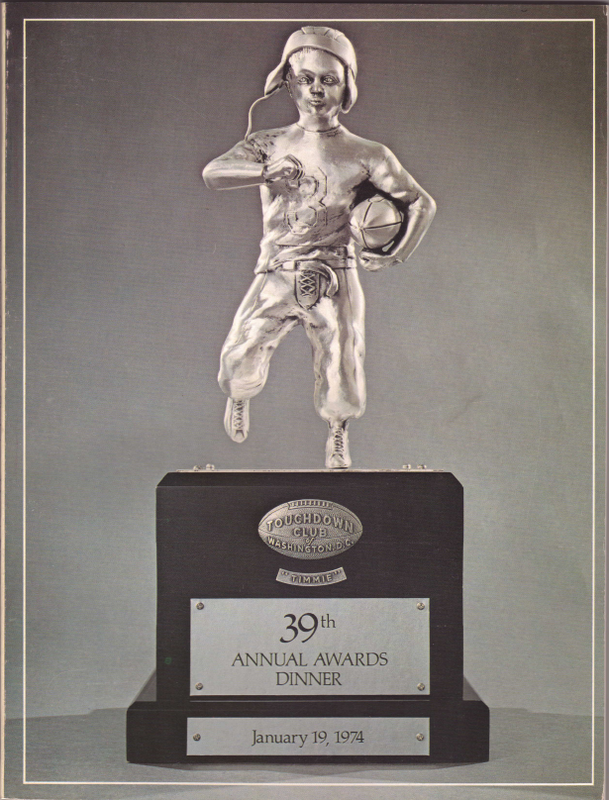 Click here to view the archive of Touchdown Club of Washington Timmie Award winners.